Cannabidiol (CBD) is becoming increasingly popular among professional athletes. The World Anti-Doping Agency, the international body that works with professional sports organizations and governments to prevent drug use, removed CBD from its list of prohibited substances in 2018. Soon after WADA’s announcement, the UFC announced they would allow their athletes to use CBD. With recent laws such as Canada’s national marijuana legalization, and the passage of the 2019 US Farm Bill legalizing industrial hemp (used to make CBD), major sports leagues like the NFL, NBA, NHL, and MLB could follow. Cannabidiol (CBD) is a non-psychoactive component of hemp and cannabis that may work as an anti-inflammatory, painkiller, muscle relaxer, anti-cancer, and relaxing agent, without causing the “high” typical of smoked cannabis. There is a rapidly growing body of research supporting the vast therapeutic properties of CBD, but it has historically been unavailable to many people who need it the most, including professional athletes. David Wells spent 21 seasons, from 1987 to 2007, as a pitcher for Major League Baseball. He won two World Series, was named 1998 American League MVP, had 239 career wins and 2,201 career strikeouts. In an interview with CBD Oil Expert, Wells explains that his injuries started shortly after high school, before entering the majors. With multiple surgeries and living with constant aches and pains, Wells, like many athletes, turned to opioids to stay on the mound. He estimates that during the last third of his career, he was pitching under the influence of opiates 75-80% of the time. Wells continued his opiate habit post-retirement. He discovered CBD oil years later. In this 2016 interview with ThePostGame, Wells stated that he had been three and a half years opiate-free with the help of CBD oil. He calls for the legalization of cannabis and for professional sports organizations to lift the ban on CBD. Amy Van Dyke won six gold medals as a swimmer for the US Olympic team. In 1996, she became the first American woman to win four gold medals in a single olympics. In 2014 she suffered an ATV accident that left her paralyzed from the waist down, causing horrible pain. She was prescribed very high doses of opiates, which only made matters worse. Those with spinal cord injury are not only in pain but can suffer from muscle spasms, insomnia, and decreased motor function. Many with these symptoms have claimed to have been helped by the use of CBD. A 2012 study published in the journal PLOS showed cannabinoid receptors were active after spinal cord injury as a protective response. 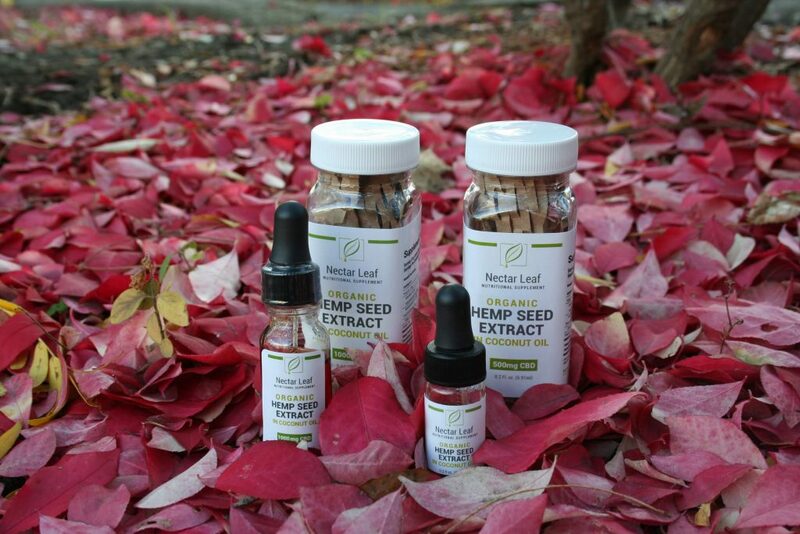 Order Nectar Leaf CBD today! Following the press conference, Diaz received a warning from the US Anti-Doping Agency. Since January 1, 2018, however, the UFC has allowed its athletes to take CBD. Diaz’s claim that CBD reduces inflammation is backed up by research, as it has been shown to have potent anti-inflammatory properties. Paul Pierce spent 19 seasons in the NBA, most of those years with the Boston Celtics where he was team captain. In 2000, as described in this Boston.com article, Pierce suffered a knife attack in a Boston nightclub, was stabbed 11 times and had a bottle smashed in his face. He had to undergo surgery to repair puncture wounds in his lungs. Yet Pierce still started all 82 games in the 2000-2001 season. Because of the attack, Pierce suffered post-traumatic stress disorder, depression, and extreme anxiety in large crowds. He vapes CBD oil to deal with depression and anxiety. Studies using animal models of anxiety involving healthy volunteers clearly suggest an anxiolytic-like effect of CBD. Moreover, CBD was shown to reduce anxiety in patients with social anxiety disorder. In the NFL, pain is as much a part of the game as running, blocking, and tackling. No one knows this better than legendary defensive end Marvin Washington. Washington spent 11 seasons in the NFL starting in 1989, mostly with the New York Jets. He won a Superbowl ring with the Denver Broncos. He had a career 40.5 sacks and 386 tackles, playing 155 games. That is a lot of wear and tear on a 6’6”, 285 lb body. Most NFL players spend the rest of their lives having to deal with some kind of pain, and many become opiate addicts as a result. Nearly two decades after his retirement, Marvin Washington has found CBD to be extremely helpful. CBD has been shown to suppress chronic pain and inflammation without having many of the negative side effects of prescription medications. Cullin Jenkins began his NFL career in 2004. He played defense for the Green Bay Packers, Philadelphia Eagles, New York Giants, and Washington Redskins before retiring in 2016 at the age of 37. Studies suggest CBD may be promising to aid not only with pain relief but with focusing the mind, including adults with ADHD. Bobby George is an English darts legend who won several titles, including the News of the World Championships where he became the only player in history to win every leg of the tournament. George gives CBD to his Jack Russell terrier TwoPee. TwoPee suffered from so much spinal pain that George could not pet him without hurting him. CBD’s safety profile has been studied in dogs at Colorado State University (conclusion: safe) and research into its efficacy in seizure disorders is currently underway there. CBD oil is considered safe and effective by a growing number of veterinary practitioners who aren’t your typical devotees of alternative medicine. I fall squarely into that camp. Count me among the converted. Dogs and cats are susceptible to many of the same illnesses as people. This is why many of the conditions CBD is effective for in humans is similarly effective in animals. This entry was posted in CBD In The News and tagged baseball, basketball, cannabidiol, cbd, cbd oil, darts, football, mlb, mma, nba, nfl, olympics, pet cbd, swimming, ufc, world anti-doping agency. Bookmark the permalink.